A Mis-Wiring in the Animal’s Immune System to Enviro Sources. as well as compromised Quality of Life for Your Animal, and “You” ! such that “External” Symptoms are Increasingly Mitigated, Eventually No Longer Triggered. But it takes – Takes Time and Can Not be Rushed . Quickest and (Only ?) Allergy Treatment Option that Targets / Fights the . “Source” of Allergy Disease from the Immune System InSide > Out ! with Symptom Masking Pharma often the “Go-To” Guidance for your Dog’s Allergies. Controls their Animal’s Allergy Status in approx. 90 Days. 3rd Month to “Wrap Up” Symptoms and Return your Animal to Normalcy. the saying “If It Sounds To Good to be True” comes to Mind. While this is a Highly Understandable Reaction, especially given the Entrenched Immune Tenacity of Allergy Disease. Together the fact that Today’s Allergy Fighting “Gold Standard” i.e. ImmunoTherapy Shots take over 1 Yr. to “Begin” to produce Tangible External Signs of Improvement, Pet Parents are reminded that “There is No Placebo Effect” when it comes to a 24 / 7 / 365 Itchy Allergy Dog. Namely, your Itchy Allergy Dog does not know that their daily Peanut Butter Treat is Fighting their Itchy Allergies, they just know that it is GOO-Licious ! 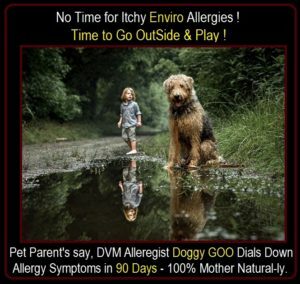 So, with Doggy GOO, over the 90 Day Protocol Duration, the Animal’s Allergy Status Improves or Not ! Over these Years, Pet Parents have shared many of their GOO Success Stories with Doggy GOO. have to say in their Testimonials about their Doggy GOO Experience. It is our Hope that You will find Doggy GOO to be not only More than a Cute & Playful Name, but a Serious Treatment Option when it comes to Targeting / Fighting Allergy Disease from the Immune System InSide > Out. You have taken the Doggy GOO Pro-Active Steps to Place Your Canine Best Friend on the Lifetime Path to a Life Free to Itchy Enviro Allergy Health & Quality of Life Issues. But it is Important to Know / Realize, that just as Allergies in Us 2 Legged / Human Animals are a “Mis-Wiring” in the Immune System, So Too with our Canine Friends. But take Heart, while Itchy Enviro Allergies are Nasty & Entrenched, it is possible to Re-Wire this Immune System Mis-Wiring, but it > Takes Time & Can Not be Rushed. By giving your Dog a “Daily / 50% AM & 50% PM “ GOO-Licious Peanut Butter Treat > Which Leverages the Natural Adaptive Power of the Animal’s Immune System, to heightened “Internal” Immune Tolerance to 15 Major Enviro Allergy Sources. With the Doggy GOO Goal, that over a modest 90 Day Duration, “External” Allergy Symptoms become increasingly Mitigated, (dare we say J ) are eventually No Longer Triggered. While the Entrenchment of Allergy is different for every Animal. And many Co-Factors come into Play with regard to the “Pace” of Building GOO Tolerance against Enviro Allergies …. Over the past 7+ Yr., Feedback from GOO Pet Parents indicates that the “STRESSed” Phase of Doggy GOO’s Protocol is “Approximately” 90 Days. Followed by a WELL Phase.
.  1st Month: Begin to be Immune Engaged i.e. “Get GOO GOing”. By end of 1st Month, enhancement of Skin & Coat with “Some” abatement of Major Allergy Symptoms.
.  2nd Month: “Heavy Lifting”. 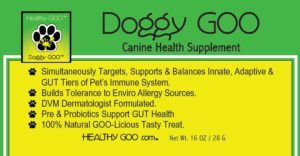 Doggy GOO begins to build Immune Tolerance to Enviro Allergy Sources and Major Allergy Symptoms begin to be “Pushed” into Remission. Continued abatement of Allergy Symptoms, with GOO Goal that Animal is Appreciably returned to “Normal”.
.  WELL Phase : You will need to Softly Challenge the Suppressed “Internal” Allergy Embers, to Keep them from being ReKindled Back into an “External” Allergy Flame once again. Further, because Allergies are Really Never “Cured” i.e. You can only build “Internal” Immune Tolerance, such that “External” Symptoms are Pushed into Remission .. You will need to Continue give your Dog their “Daily” Doggy GOO Treat, but at a Less Amount 🙂 . “If” You begin to See Your Dog’s “Old Allergy Habits / Symptoms beginning to Re-Appear, it is Important to ADD More Doggy GOO to Knock them Back Down into Remission.
.  Age / Co-Health Issues “may” prolong Recovery. 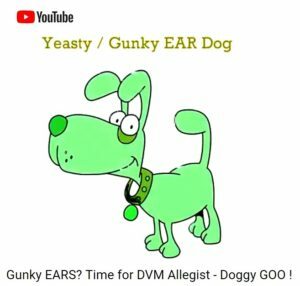 So Pls, Stay the GOO Course > Sure & Steady WINs Your Animal’s Allergy Fight.
.  Past / Current Pharma and or Antibiotic Use often Disrupts the GUT-Biome, causing a Delay in Recovery. “If” Pharma or Antibiotics have been Recently Consumed, and the Progress of Doggy GOO is “Lagging”, it may be because of a Bad Bug Dominance in GUT-Biome. 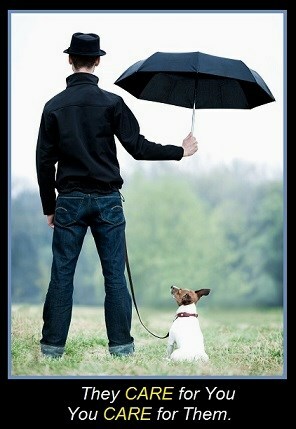 In this Case, pls look into ADDing www.GooGutRescue.com to Doggy GOO.
. It is Important to Remember that DVM Allergist Immuno-Allergy Shots take over 1 Yr. to “Begin” to reflect Improvement and Pet Parent Administer “Shots” will continue for over 2 Yr. L . Additionally, Anti-Itch Pharma “Does Stop the Itch” and can be used Short Term to give the Animal the Quality of Life that they Deserve. But Pharma is only a Short Term “Fix” and only Masks Symptoms leaving the Animal’s Allergy Fire Intact, only to Burn Brighter & Hotter as Time Goes By … Once You Stop the Pharma, the Allergy Itchy / Fire Returns. 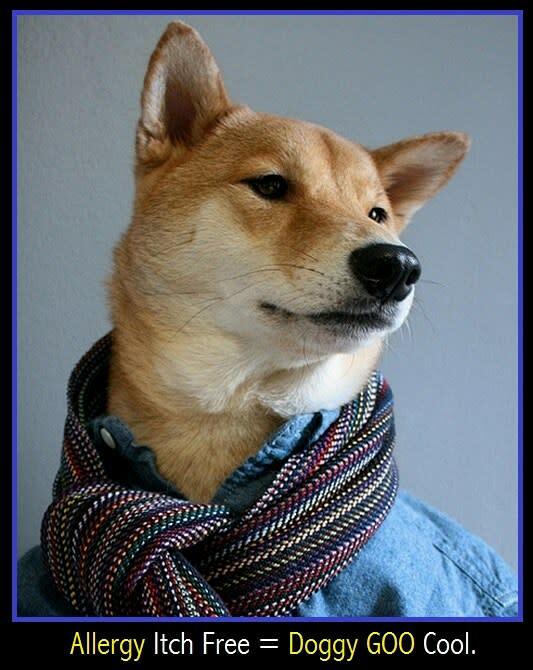 It is Important for You / the Pet Parent to Stay the Doggy GOO Course. Because to “Stop” before Doggy GOO has Time to ReCalibrate Your Animal’s Immune System is not only Counter Productive to Your Animal’s Fight Allergy, but leaves your Animal’s Allergy Fire “Still” Burning, placing Your Animal on a Path to increasing “Allergy Driven” Health Issues and compromised Quality of Life. 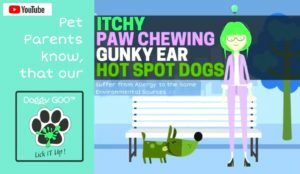 Is Your Itchy Dog [ Allergy ] Sad ? Food Allergy = No ( only 5% Allergy Dogs = Medically Defined Allergy to Food ). Environmental Allergy = Yes ! as Us Humans Suffer From ! Click Below to Learn More about Doggy GOO’s Allergy Protocol.